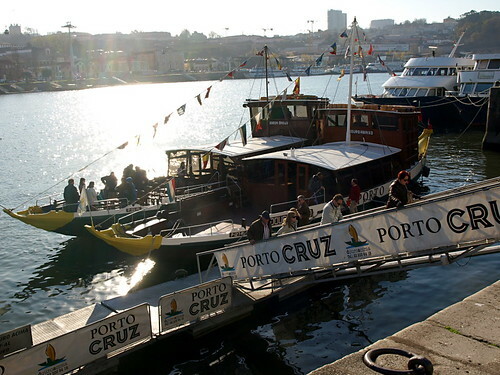 Take advantage of the proximity of Portugal’s second city to the UK to escape to a different world filled with wine, culture and fun on a weekend in Oporto. 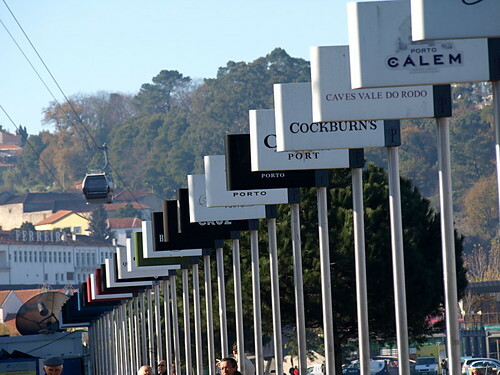 Flights depart daily from London to Oporto, some of them offering seats for less than £50 return during March, April and May 2012 and deposit you, just over 2 hours later, in the bustling, modern airport of Francisco de Sá Carneiro. Accessed directly from the airport, the Metro E line (violet) will take you to the city centre in 25 minutes (zone 4 ticket €1.60). Get off at Trindade station and you’re pretty much in the heart of the city. For budget accommodation with oodles of Oporto character and charm and a Michelin listed restaurant on site, check out the Hotel Internacional, one street behind the magnificent Praça da Liberdade in the very heart of the UNESCO World Heritage historical centre. After arriving in the city and checking into your hotel, take a stroll through the streets of the historical centre, checking out the bars along the lively Rua de Galería and sampling your first taste of the Super Bock beer. A bottle of the local vinho verde (green wine) makes for a splendid aperitif as it’s light and refreshing. Suitable chilled into your weekend, treat yourself to dinner at the former bookshop turned restaurant of the unimaginatively named Book (Rua do Aviz, 10) where you’ll find excellent cuisine amongst the fittings and fixtures of its former life. 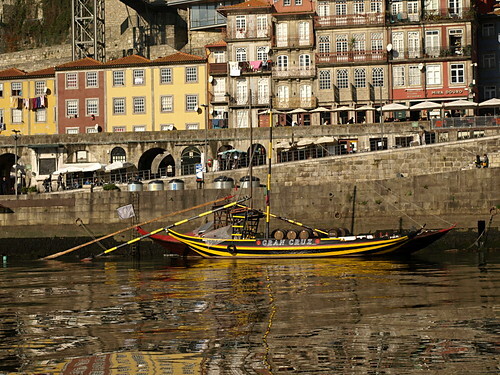 Head down to the Douro River to discover Oporto’s photogenic charms and its famous wine cellars of Ribeira de Gaia where you can take a short tour followed by the tasting, which is the main reason anyone takes the tour. Walk over the stunning Dom Luis I Bridge and you’ll find around 11 cellars to choose from. 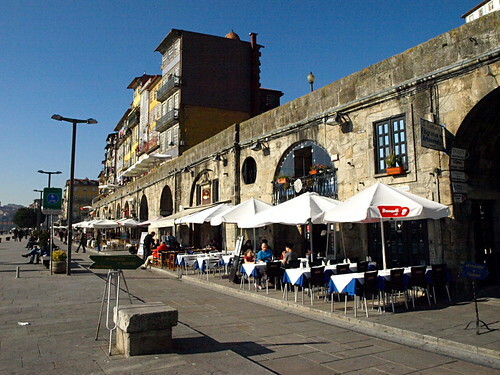 Stay cellar-side and grab a table out front of the Contra Corrente bar for a tasty sandwich and some of their irresistible chocolate fudge cake, or cross back over the river to one of the myriad of restaurants lining the quay on Cais da Ribeira. Try some of the traditional caldo verde (green soup) and Bacalhau à Gomes de Sá (baked salt cod with potatoes, garlic, onions and hard boiled eggs) or if you’re feeling adventurous, the tripe for which the city is famed. Take the funicular railway alongside the Don Luis Bridge (€1.10 single trip) which will whisk you up the cliffside and drop you in easy strolling distance of Oporto Cathedral and camera-hogging views over the river. There’s just enough time after that to head to the Rua de Santa Catarina shopping district to pick up some bargains. Return to the river for a bird’s eye view of the city from the Gaia Porto cable car (€5 for a 5 minute, one way trip) and then settle your nerves on a river cruise down the Douro (€10 and 50 minutes), taking in the seven bridges and the riverside activity. 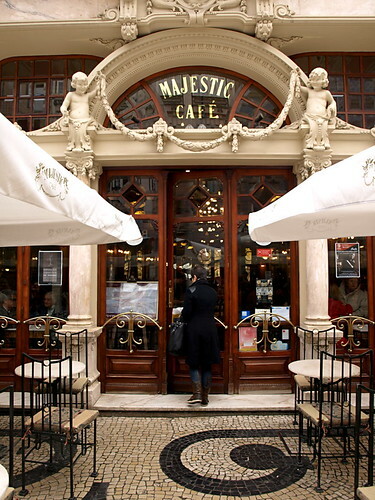 That just about leaves time for you to head back into the city to the iconic Majestic Café for a francesinha lunch before heading back to the airport. A monster of a sandwich packed with three types of meat, smothered in melted cheese, topped with a fried egg and surrounded by chips, after a francesinha you may not need to eat again before Wednesday.